Since the day of our inception, we are engaged in formulating and supplying a comprehensive range of Ester Base Plasticizers. 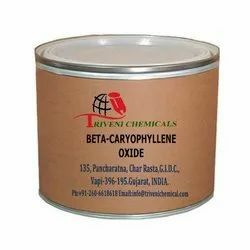 Bis(2-ethylhexyl) phthalate, Bis(n-butyl)phthalate, Butyl benzyl phthalate and Diethyl phthalate, under this range. We process all our chemicals using premium ingredients and modern machinery that are sourced from the trusted vendors of the market. In addition to this, we test all our chemicals on several parameters to ensure flawlessness. Honeysuckle is liquid. Storage: Keep container tightly closed. Keep container in a cool, well-ventilated area. Caryophyllene is colourless liquid, clear. Storage: Keep container tightly closed. Keep container in a cool, well-ventilated area. 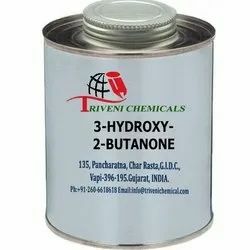 3-Hydroxy-2-Butanone is Slightly Yellow Liquid Or Crystals. Storage: Keep container tightly closed. Keep container in a cool, well-ventilated area. Methyl Ionone is yellow clear liquid. it is use in flavours, cosmetics, aromatic, Pharmaceuticals and Soap Industry. Storage: Keep container tightly closed. Keep container in a cool, well-ventilated area. Andrane (13567-39-0) is Liquid. it is also known as Alpha-Cedrene Epoxide. it is use in perfumery, food flavours, Aromatic, cosmetic, Soap Detergent and Fraganance Industry. Storage: Keep container tightly closed. Keep container in a cool, well-ventilated area. 1-Octen-3-One (4312-99-6) is . it is also known as Vinyl Amyl Ketone. Storage: Keep container tightly closed. Keep container in a cool, well-ventilated area. 1-Penten-3-ol (616-25-1) is . it is also known as Ethyl Vinyl Carbinol. Storage: Keep container tightly closed. Keep container in a cool, well-ventilated area. 2-Isopropyl-4-methylthiazole (15679-13-7) is . it is also known as Tropical Thiazole. Storage: Keep container tightly closed. Keep container in a cool, well-ventilated area. 2-ethyl-4-methylthiazole (15679-12-6) is . Storage: Keep container tightly closed. Keep container in a cool, well-ventilated area. 2-Ethylfuran (3208-16-0) is . Storage: Keep container tightly closed. Keep container in a cool, well-ventilated area. 2-Dodecenal (4826-62-4) is . Storage: Keep container tightly closed. Keep container in a cool, well-ventilated area. 2-Acetyl-5-Methylfuran (1193-79-9) is . Storage: Keep container tightly closed. Keep container in a cool, well-ventilated area. 2,6-Dimethyl-5-heptenal (106-72-9) is . it is also known as Melon Heptenal, Melon aldehyde and Melonal. Storage: Keep container tightly closed. Keep container in a cool, well-ventilated area. 2,4-Heptadienal (881-39-5) is . it is also known as Trans,Trans-2,4-Heptadienal. Storage: Keep container tightly closed. Keep container in a cool, well-ventilated area. 2,4-Octadienal (5577-44-6) is . Storage: Keep container tightly closed. Keep container in a cool, well-ventilated area. Trans,Trans-2,4-Nonadienal (5910-87-2) is . Storage: Keep container tightly closed. Keep container in a cool, well-ventilated area. 2,4-Hexadienyl Isobutyrate (16491-24-0) is . it is also known as Sorbyl Isobutyrate. Storage: Keep container tightly closed. Keep container in a cool, well-ventilated area. 2,4-Hexadienyl Butyrate (16930-93-1) is . it is also known as Sorbyl Butyrate. Storage: Keep container tightly closed. Keep container in a cool, well-ventilated area. Methyl 3-Hexenoate (2396-78-3) is colorless clear liquid. it is also known as Honeyflor. it is use in perfumery, food flavours, Aromatic cosmetic Soap Detergent and Fraganance Industry. Storage: Keep container tightly closed. Keep container in a cool, well-ventilated area. Homomenthyl Acetate (67859-96-5) is colorless clear liquid. it is also known as 3,3,5-trimethylcyclohexyl acetate. it is use in perfumery, food flavours, Aromatic cosmetic Soap Detergent and Fraganance Industry. Storage: Keep container tightly closed. Keep container in a cool, well-ventilated area. Hexyl E-2-Methyl-3-Pentenoate (58625-95-9) is colorless clear liquid. it is also known as it is use in perfumery, food flavours, Aromatic cosmetic Soap Detergent and Fraganance Industry. Storage: Keep container tightly closed. Keep container in a cool, well-ventilated area. Hexyl 2-Methyl-3-Pentenoate (85508-08-3) is colorless to pale yellow clear liquid. it is also known as it is use in perfumery, food flavours, Aromatic cosmetic Soap Detergent and Fraganance Industry. Storage: Keep container tightly closed. Keep container in a cool, well-ventilated area. Hexahydrofarnesyl Acetone (502-69-2) is colorless clear liquid. it is also known as Perhydrofarnesyl acetone. it is use in perfumery, food flavours, Aromatic cosmetic Soap Detergent and Fraganance Industry. Storage: Keep container tightly closed. Keep container in a cool, well-ventilated area. Geranyl Isovalerate (109-20-6) is colorless to pale yellow clear oily liquid. it is also known as it is use in perfumery, food flavours, Aromatic cosmetic Soap Detergent and Fraganance Industry. Storage: Keep container tightly closed. Keep container in a cool, well-ventilated area. Geranic Acid (459-80-3) is colorless to pale yellow clear oily liquid. it is also known as 3,7-Dimethyl-2,6-octadienoic acid. it is use in perfumery, food flavours, Aromatic cosmetic Soap Detergent and Fraganance Industry. Storage: Keep container tightly closed. Keep container in a cool, well-ventilated area. Benzyl Isoamyl Ether (122-73-6) is colorless to pale yellow clear liquid. it is also known as Benzyl Isopentyl Ether and Gardenia oxide. it is use in perfumery, food flavours, Aromatic cosmetic Soap Detergent and Fraganance Industry. Storage: Keep container tightly closed. Keep container in a cool, well-ventilated area. Dihydrojasmone Lactone (7011-83-8) is colorless clear liquid. it is also known as Lactojasmone Gamma-Methyl decalactone and Gamma-Methyl Gamma-decalactone. it is use in perfumery, food flavours, Aromatic cosmetic Soap Detergent and Fraganance Industry. Storage: Keep container tightly closed. Keep container in a cool, well-ventilated area.
. it is also known as Propanoic acid 2-furfuryl ester. it is use in perfumery, food flavours, Aromatic cosmetic Soap Detergent and Fraganance Industry. Storage: Keep container tightly closed. Keep container in a cool, well-ventilated area. Furfuryl Acetate (623-17-6) is yellow liquid. it is also known as 2-Acetoxymethylfuran. it is use in perfumery, food flavours, Aromatic cosmetic Soap Detergent and Fraganance Industry. Storage: Keep container tightly closed. Keep container in a cool, well-ventilated area. E,Z-2,6-Nonadien-1-Al Diethyl Acetal (67674-36-6) is colorless clear oily liquid. it is also known as it is use in perfumery, food flavours, Aromatic cosmetic Soap Detergent and Fraganance Industry. Storage: Keep container tightly closed. Keep container in a cool, well-ventilated area. Ethyl Trans-2-Hexenoate (27829-72-7) is colorless clear liquid. it is also known as Trans-2-Hexenoic Acid Ethyl Ester. it is use in perfumery, food flavours, Aromatic cosmetic Soap Detergent and Fraganance Industry. Storage: Keep container tightly closed. Keep container in a cool, well-ventilated area. Alpha-Farnesene (502-61-4) is Liquid. it is also known as it is use in perfumery, food flavours, Aromatic cosmetic Soap Detergent and Fraganance Industry. Storage: Keep container tightly closed. Keep container in a cool, well-ventilated area. Citronellyl tiglate (24717-85-9) is colorless clear liquid. it is use in perfumery, food flavours, Aromatic, cosmetic, Soap Detergent and Fraganance Industry. Storage: Keep container tightly closed. Keep container in a cool, well-ventilated area. Tropical Ionone (79-78-7) is colorless to yellow clear liquid. it is also known as Allyl-alpha-ionone, Cetone V and Allyl-ionone. it is use in perfumery, food flavours, Aromatic, cosmetic, Soap Detergent and Fraganance Industry. Storage: Keep container tightly closed. Keep container in a cool, well-ventilated area. Waste Disposal: Waste must be disposed of in accordance with federal, state and local environmental control regulations. Anisole (100-66-3) is colourless liquid, clear. it is also known as Methoxybenzene, Methyl phenyl ether, Phenoxymethane and Phenyl methyl ether. it is use in perfumery, food flavours, Aromatic, cosmetic, Soap Detergent and Fraganance Industry. Storage: Keep container tightly closed. Keep container in a cool, well-ventilated area. Trans-2-Nonen-1-ol (31502-14-4) is Liquid. it is also known as E-2-nonen-1-ol. Storage: Keep container tightly closed. Keep container in a cool, well-ventilated area. Waste Disposal: Waste must be disposed of in accordance with federal, state and local environmental control regulations. Trans-2-Nonenyl Acetate (30418-89-4) is colorless clear liquid. it is also known as E-2-nonen-1-yl acetate. Storage: Keep container tightly closed. Keep container in a cool, well-ventilated area. Waste Disposal: Waste must be disposed of in accordance with federal, state and local environmental control regulations. 2-Octenal (2363-89-5) is colorless to pale yellow clear liquid. it is also known as Oct-2-enal. Storage: Keep container tightly closed. Keep container in a cool, well-ventilated area. Waste Disposal: Waste must be disposed of in accordance with federal, state and local environmental control regulations. 2-pentenal (764-39-6) is colorless to pale yellow clear liquid. Storage: Keep container tightly closed. Keep container in a cool, well-ventilated area. Waste Disposal: Waste must be disposed of in accordance with federal, state and local environmental control regulations. trans-2-Pentenal (1576-87-0) is yellow clear, liquid. it is also known as 2-Ethyl Acrylic aldehyde and E-2-pentenal. Storage: Keep container tightly closed. Keep container in a cool, well-ventilated area. Waste Disposal: Waste must be disposed of in accordance with federal, state and local environmental control regulations. 4-decenal (30390-50-2) is colorless to pale yellow clear liquid. Storage: Keep container tightly closed. Keep container in a cool, well-ventilated area.